I was working in a bar called Buccanero's back in 1993 in san antonio bay, glass collecting and helping out behind the bar. The manager there at the time was Manolo, he was the Dj and head barman as well. The decks were behind the bar so he would serve drinks and play music at the same time, he was very fast for some reason, haha. I used to sneak into the bar when it was closed and practice with his records. Went back to the uk the follow winter and got my own pair of technics, I started with soundlab decks but they wasn't gonna cut like the 1210's. Did a few gigs in London then up and down the west end in Ibiza at Koppas with Aitor and Simples with Jon Ulyesses, night-life and so on. As the longest standing resident DJ and being there from the start you have played with many legends, if you could put six at the top of your list who would they be? What do you think was the golden era for electronic music for you? My favourite is a split between 3 eras, 1989 acid house, 92 to 95 U.S Garage, 99 to 2001 San Diego / San Francisco tribal house sound I.e Siesta Music. Besides house music what music do you play at home? Lots of 80's music, the stones, the Beatles, the who, Motown, Atlantic soul, simple minds. What do you think of EDM? As I always say, if House music is like Football than EDM is just Soccer, you get me? 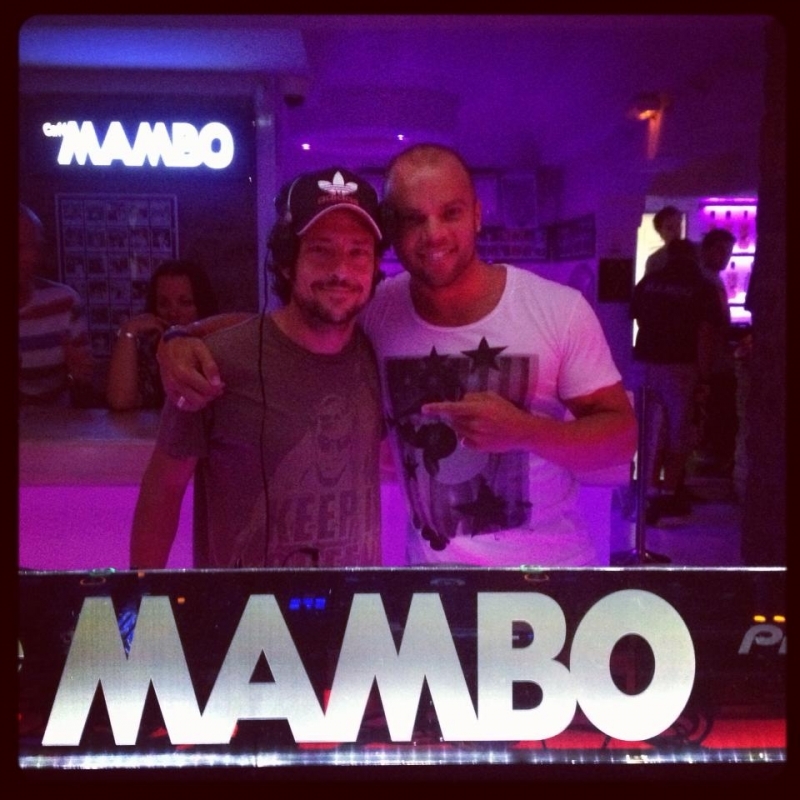 If you could choose one single night as your favorite from mambo which would it be? The first time I ever played there, I new what was gonna happen. It was like being in a dream, still is, thats what Heineken does for ya, haha. With all the changes Ibiza has seen since you have been here what are the ups and what are the downs? I dont mind the way the island has changed except for the corporate side of it, people used to escape to Ibiza and now they mostly just want to impress people with how much money they can spend. Acts are being booked for certain venues and they have no relevance to the island at all, so called superstar dj's are ripping the heart out of Ibiza with the extortionate fees and requests, you need to serve your time on this Island if your gonna get any credit from me. If you could change anything on this island in the last 20 years what would it be? What exactly is a terry? A terry is a Tune, if you like the tune then you should holler 'TERRY', there is another explanation but im not telling. I got 5 tracks and 2 remixes in the pipeline right now for spring release. Loads more in the summer.